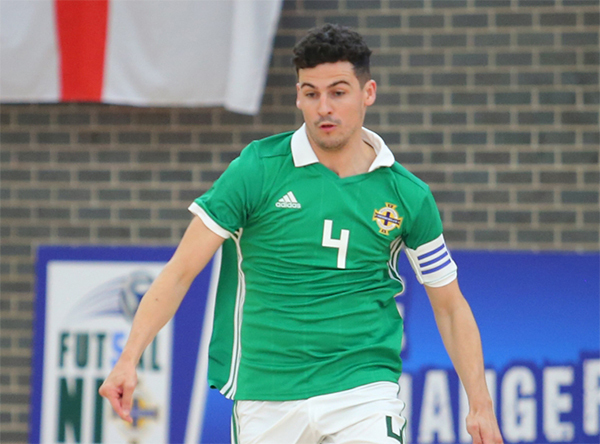 Northern Ireland Futsal Head Coach Jonathan Michael has named his squad for the upcoming futsal international friendlies taking place in Northern Ireland this weekend. The matches will take place at Newry Leisure Centre on Friday 18th and Saturday 19th January, with both games kicking off at 18:30. Speaking about the World Cup qualifiers, he added: “This will be our first time participating in Championship qualification and we are looking forward to the test. In our first game we will play a quality side in Finland who are in the top 30 of the World rankings. The players will rise to this challenge and I know they will learn a lot from this experience. Defenders: Adam Barr (FC Salisbury United), Scott Gunn (Newcastle Futsal Club), John Gibson (Banbridge Town Futsal Club), Ciaran Donaghy (Belfast United Futsal Club), James Gould (Banbridge Town Futsal Club). Wingers: Jack Magee (Belfast United Futsal Club), Craig Taylor (Belfast United Futsal Club), Danny Stapleton (Manchester Futsal Club), Jordan Wilson (Banbridge Town Futsal Club), Conor Glenholmes (Wattcell Futsal Club). Forwards: Darius Roohi (Sparta Belfast Futsal Club), Connor Millar (FC Salisbury United).